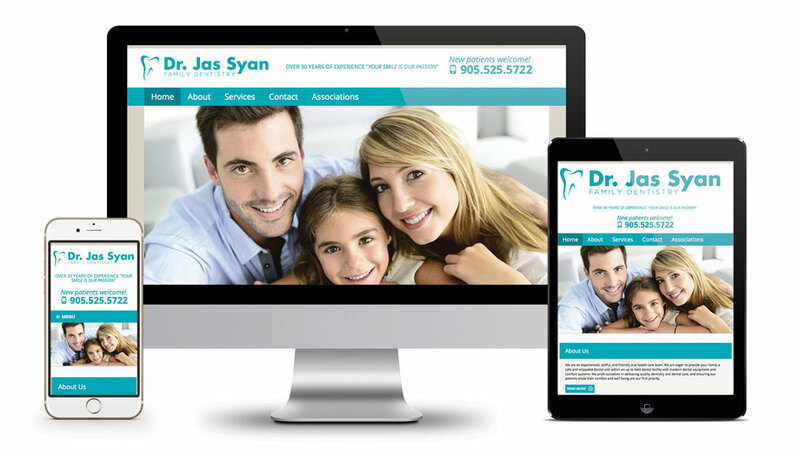 Dr. Jas Syan Family Dentistry is an experienced, skillful, and friendly oral health care team in Hamilton Ontario. 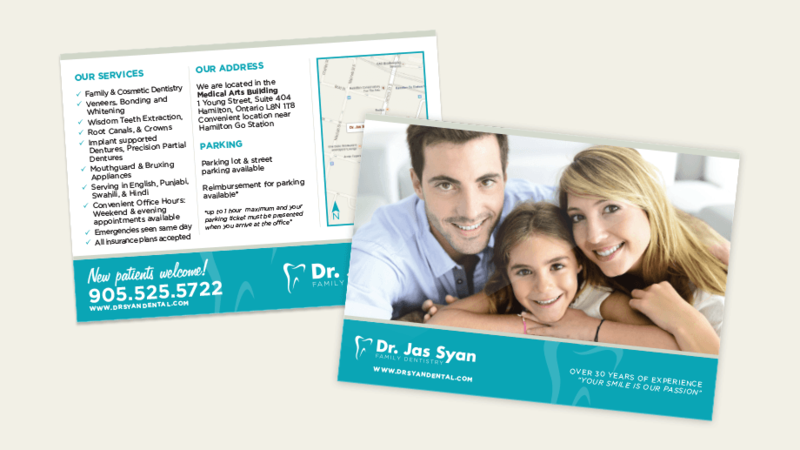 This project features a custom responsive WordPress theme design, logo and direct mail postcard. Excellent Web Site! Great work!